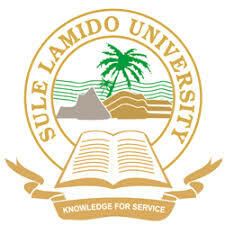 This is to inform all Students who have graduated from Sule Lamido University, Kafin Hausa in the 2016/2017 Session that their Statement of Result is ready for collection from Monday, 26th March, 2018. 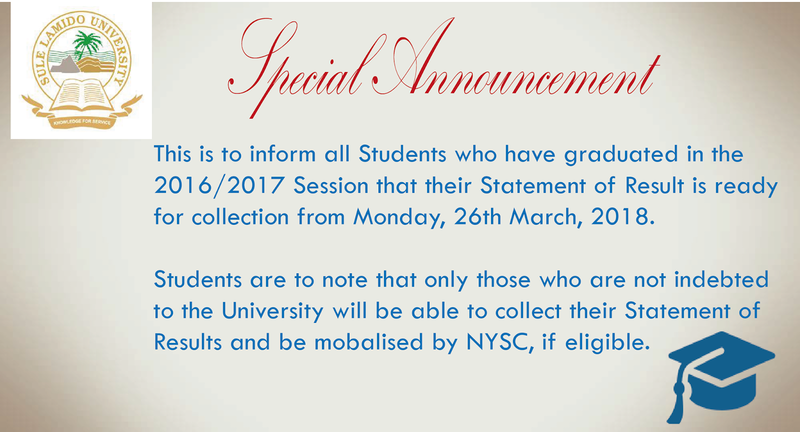 Students are to note that only those who are not indebted to the University will be able to collect their Statement of Result and be mobilised by NYSC, if eligible. Read Also: NYSC Batch ‘A’ Online Registration Guide and Requirements 2018.